This one is English cottage style 1/12 scale. It is very similar to Miss Read's Cottage that was a 1/2 scale. There's a little fairy door on the side of the porch. It's a working fairy door. One side of the house has a bay window. The roof is pine shingles placed in a whimsical pattern. The battery and switch are inside the red chimney. They operated all 4 chandeliers inside. 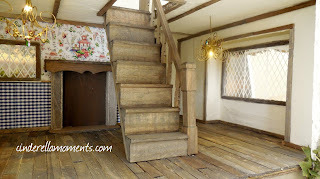 The downstairs is separated with a staircase. The front wall has wallpaper. Ralph Lauren I think. 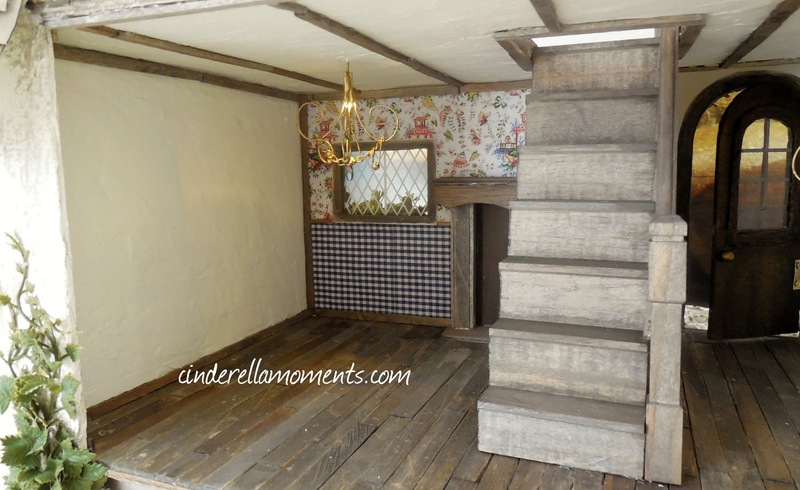 I used an oriental print wallpaper on top and a traditional gingham on the bottom. If I were to furnish this house I'd put the kitchen here with a sink under the window. This side of the stairs would probably make a cozy reading nook. Upstairs has a green traditional wallpaper with roses. 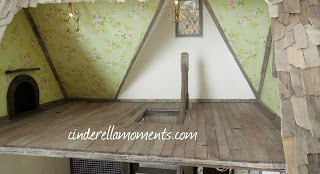 The Old Cottage would be great fun to furnish. But I'll leave that to the person who buys it. I can't take all the fun away! It's available in my Etsy shop. What a cozy little house. Hello Caroline! You always seem to work at lightning speed and get your projects done in record time! I have just been dazzled by your beach cottage and now here is another beauty right on its heels and just a cute as its bigger sister! 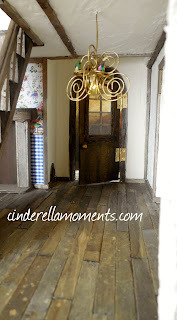 You have such a fabulous way of making these cottages so personal and imbue so much magic into each and every one! 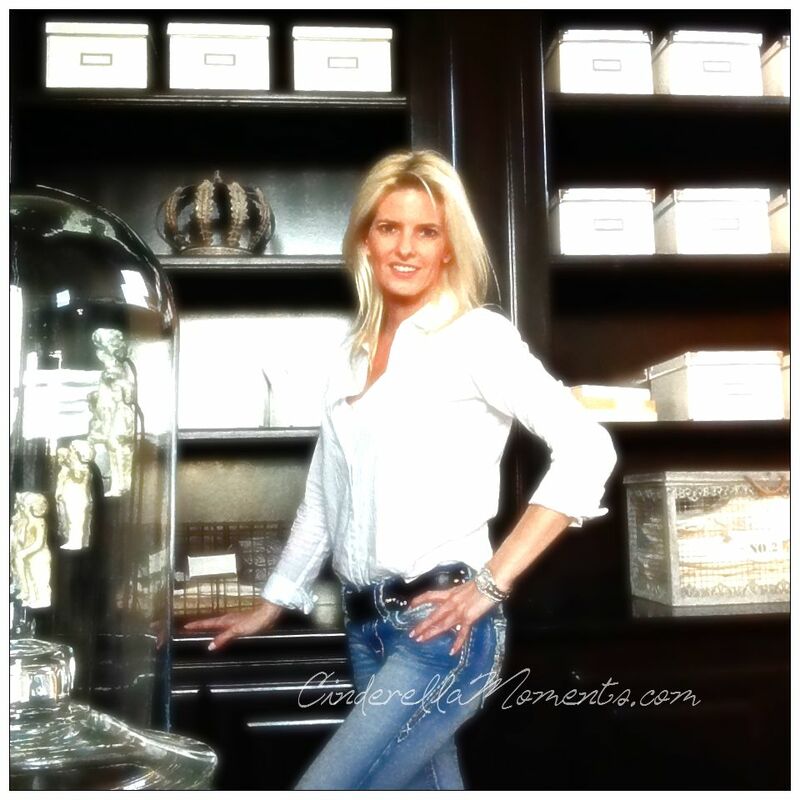 It becomes difficult to have a favorite so I will have to say that I would love to just live in them All! Oh my....! It's so nice, absolutely fantastic! 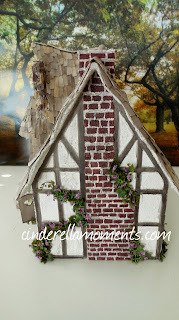 Another lovely cottage with some wonderful architectural details. I love the little fairy door and the shingling on the roof. Your old cottage is fabulous and enchanting. Another beauty! 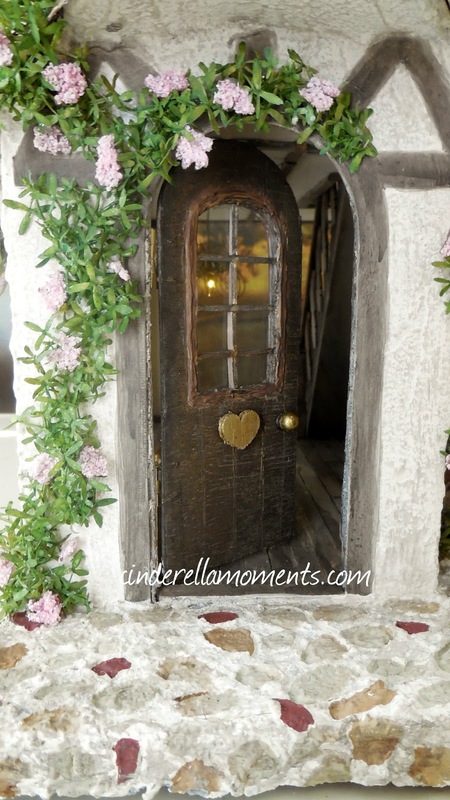 I just love that little fairy door. Amazing job!! 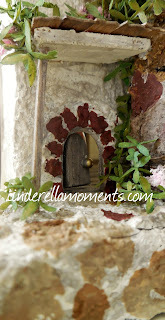 Love the little fairy door!!! Someone is going to be a very lucky person! Una hermosa maravilla, como las casitas de los cuentos de hadas, es perfecta. Hi Caroline! 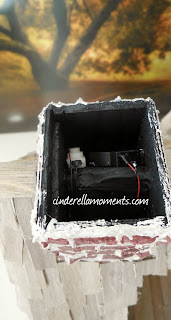 I quote Elisabeth: You always seem to work at lightning speed and get your projects done in record time! In my opinion she is absolutely right about that :D!! This house looks fabulous as usual and just like all your other houses. 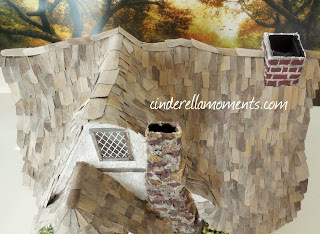 While reading your blog post I even thought this cottage looks like the house of Hansel and Gretel :D! 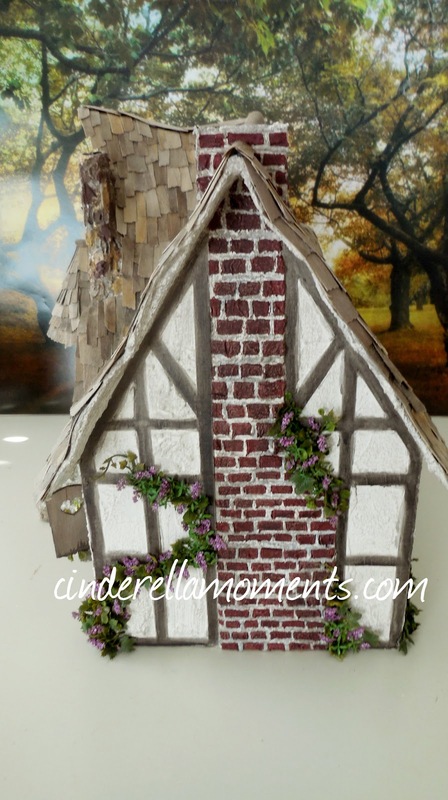 It is a fairy tale house! Wonderful cottage. 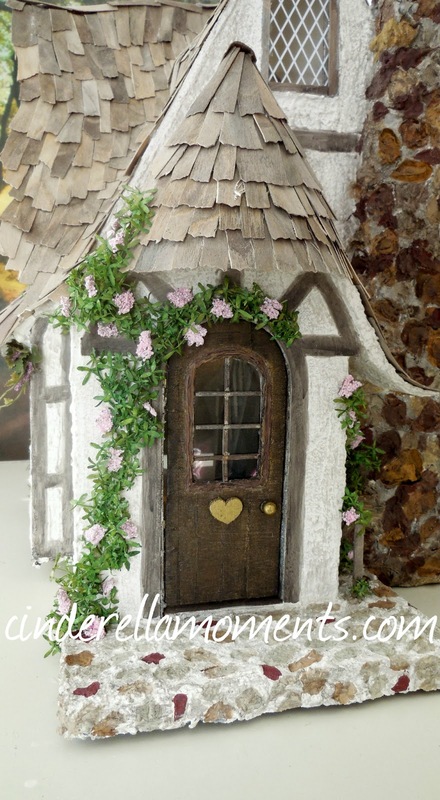 I love the fairy door and the roof is fantastic. This one is a beauty... they just keep getting better and better... you do such great work! Ваш домик очаровательный. Я очень люблю кривые и покатые крыши! Мне нравится дверь для феи! Это так мило! 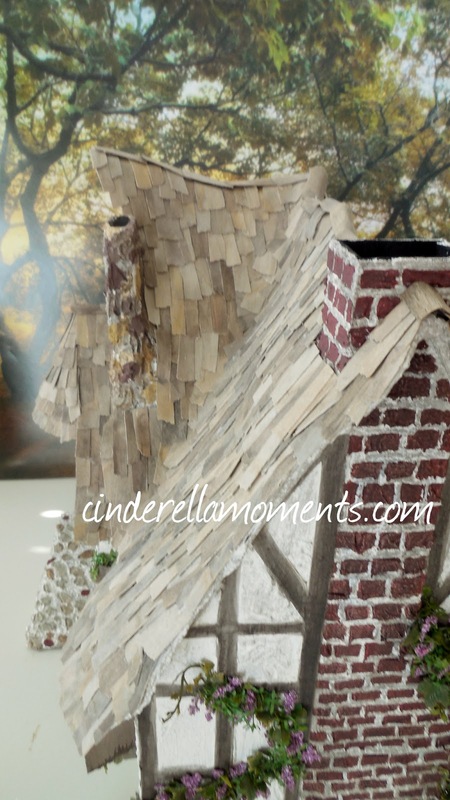 oh Carolyn it's so cute the roof is just fantastic and the little fairy door is so adorable! 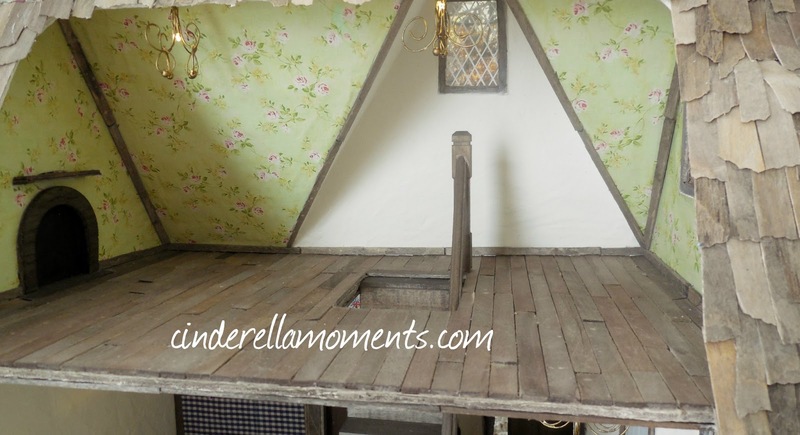 I love love love the inside it's so spacious for cute little cottage! you have nailed it again! 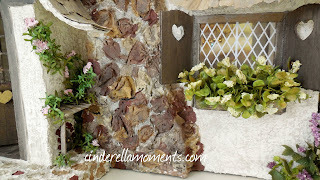 Molto bello il tuo cottage e molto accogliente! I love all your houses, and this has a very special charm. I really like misplaced tiles, slightly curved shapes, the color of the wood, the aged. It is simply beautiful. Каролин, домик у вас волшебный! Можно бесконечно долго любоваться каждой деталью. Фантазия великолепная! Я люблю заходить к вам в гости и любоваться шедеврами! Wow, Caroline...I'm speechless. First the Beach Cottage, and now this one! Hard to decide which I'd chose! You must be working like crazy to get them both done so quickly. They are both fabulous. So much talent you have! ik vind ze zo prachtig ik zou graag dat soort dingen ook willen maken, helaas heb ik daar de ruimte en de tijd niet voor. 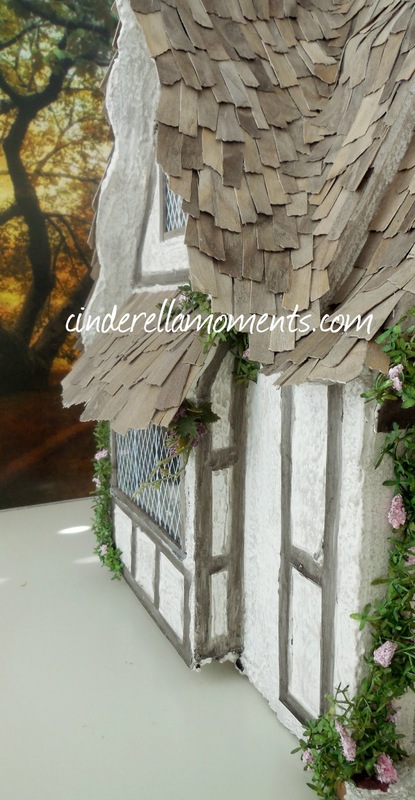 It is really a fairy tale cottage. Realmente muy bonita, me encanta. Wow! Another showstopper - just beautiful. I love that staircase and the floorboards are wonderful. 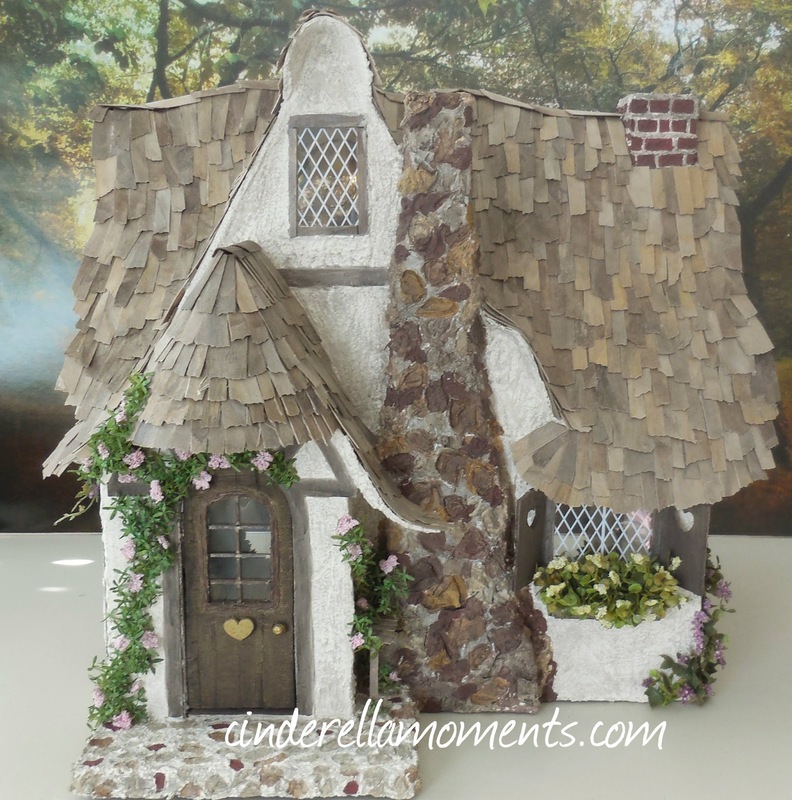 This delightful little English cottage would be ideal for the cover page of a fairy tale book! What little girl would not be curious to explore its contents? The little fairy door is such a fanciful touch and gives it an aura of enchantment. 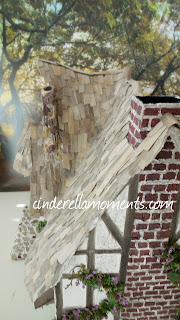 The whimsical pattern of the shingles and of the roof provide the antiquated look that I so love. The interior is beautifully finished and your mixture of wallpaper on the bottom floor provides a charm of its own and confers a welcoming ambiance. 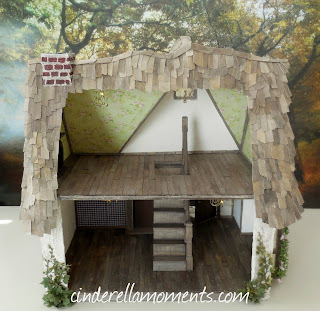 Everything about this little house is adorable!